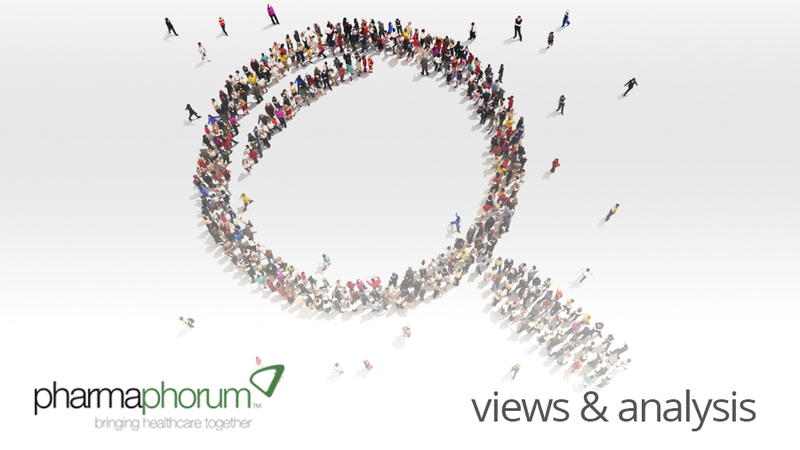 Rebecca Aris discusses her personal highlights from pharmaphorum’s content this past month. Welcome to our October ‘Editor’s voice’ article, where I will be reviewing some of the content highlights of October on pharmaphorum. Without further ado, let’s see what was published in October and what’s to come at the end of this year. The discipline focus of our content throughout October was personalised medicine. This was kicked off by the publication of the full personalised medicine round table debate ‘Oncology shaping the future of personalised healthcare‘ published on 1st October in collaboration with AstraZeneca. Paul Tunnah later reflected on what he learned from his involvement with the round table discussion in his latest ‘Tunnah’s musings‘ article. In this piece Paul shared the key lessons that emerged from this project in terms of what good thought leadership should look like. Also in our personalised medicine month, Peter Keeling of Diaceutics explored the concept of personalised medicine 2.0 and looked at whether PM made good economic sense. Other topics explored within the PM space this month included IP issues, big data, biomarker discovery, next-generation sequencing in addition to a unique patient perspective of personalized medicine in practice. Our disease focus throughout October was on central nervous system disorders. Highlights in this space included an update on UK treatments for ADHD and a look into whether prophylactic treatment for age-related neurodegenerative disease could ever be developed, by Blair Hesp. November’s disease focus will be on metabolic disorders and diabetes so keep an eye out for thought provoking content in that space next month. Other content of note this month included an interesting view of rare diseases in the article ‘Can rare diseases be a viable option for the pharma industry?‘. This piece, by Christopher Ehinger explored the total number of approvals and orphan drug designations in the US since the Orphan Drug Act of 1983 and the factors driving pharma to invest its research and development budgets into discovering orphan drugs, and is well worth a read. On a similar note, Oliver Timmis published an article questioning why is rare disease funding rare? Oliver demonstrates just how severely limited funding is within the rare disease space in the UK and questions why this is so. Also this month we published an interview with pancreatic neuroendocrine cancer patient Lindsey Miller. Lindsey shares what it’s like to be a young patient living with this condition and how pharma can help patients like her. November will bring a discipline focus of marketing excellence in addition to the aforementioned disease focus. Over twenty articles on the topic of pharma marketing are due to be published on pharmaphorum next month so do check in to see what we have that is of interest to you. Our themes in December are to be ‘Sales effectiveness’ and ‘Men’s / women’s health’ and it’s not too late to submit an article on one of these themes to be published in December, so do get in touch if these topics appeal to you. As always, thank you for reading our content. And if you particularly enjoy an article, please do share it through your social media channels; I know our authors always appreciate it! Rebecca Aris is Managing Editor of pharmaphorum, a very fast growing online thought leadership channel for pharma, representing an audience of senior pharma execs from all over the world. Would you like to write an article for December?